Mark Twain was pretty adept with the pen. No doubt about that. But in his later life maybe another pen could have come in handy, the Rejuvapen. Yes, the Rejuvapen™ is a non-surgical micro-needling pen that is used to encourage new collagen production to improve tired, wrinkled skin. 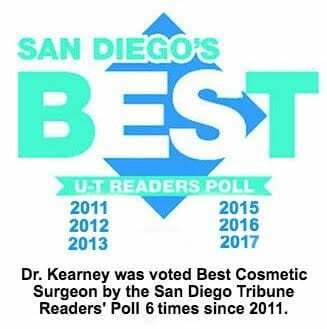 At Dr. Kearney’s we wield it just as well as Mr. Twain wielded his trusty pen. The Rejuvapen™ looks just like a regular pen, although this pen has nine tiny needles. The Rejuvapen is used for microneedling, which improves the skin’s condition by triggering the new production of collagen and by breaking down some surface problems. Our highly trained nurses perform our Rejuvapen treatments. First, a numbing cream is applied to the treatment areas to minimize any discomfort. Next the pen is glided across the target areas of the skin. As this is done, the nine needles perforate the epidermis, the skin’s top layer. Even though the perforations are miniscule, the body responds as if it has been wounded. This response is to produce new collagen and elastin and send it to the “wound” site. Since collagen is the natural protein that is responsible for the skin being firm and structurally strong, this new collagen improves the skin in the treatment sites, plumping and tightening it. New elastin improves the skin’s suppleness. What skin problems can Rejuvapen be used on? We use Rejuvapen microneedling on a variety of skin issues, particularly those associated with loss of collagen. Mild to moderate acne scarring— Studies have shown microneedling to be very successful at improving acne scarring, with over 80 percent of respondents assessing their microneedling as “excellent” on a 10-point scale. Rejuvapen eliminates much of the depth of the acne scarring, making it far less noticeable. Fine lines and wrinkles— Wrinkles diminish and fine lines can be lessened. Skin looseness— Skin tightens with the increased collagen. Skin texture and pore size— Patients notice that their skin feels smoother and pore size is reduced. Stretch marks— Redness and discoloration is reduced, texture improved. Most patients will experience some redness, akin to mild sunburn. This usually passes in a day or so. There may be some minor bleeding, and your skin may feel tight and itchy for a day or two. Full results show themselves in one to two months as the body builds the new collagen and elastin. Dr. Kearney recommends a series of three to six treatments spaced four to six weeks apart to achieve optimum results. Call us at 858-677-9352 and ask about Rejuvapen.